who love what they do and always look forward to facing new challenges. 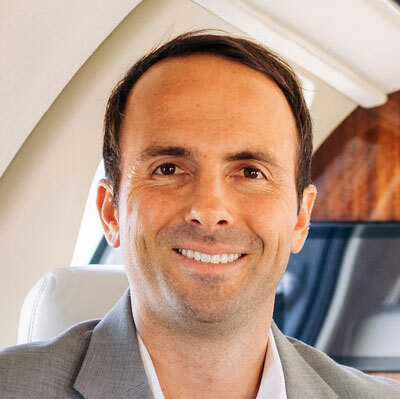 Casey started Latitude 33 in 2006 with one Cessna CJ1+ and quickly grew the company to become today’s industry-recognized solution to private jet management. From acquisitions/sales, training, acceptance, and entry into service, Casey has become a recognized expert in the CitationJet series aircraft. Casey’s passion for aviation started as a child, on the lap of his father flying in the family tail dragger. 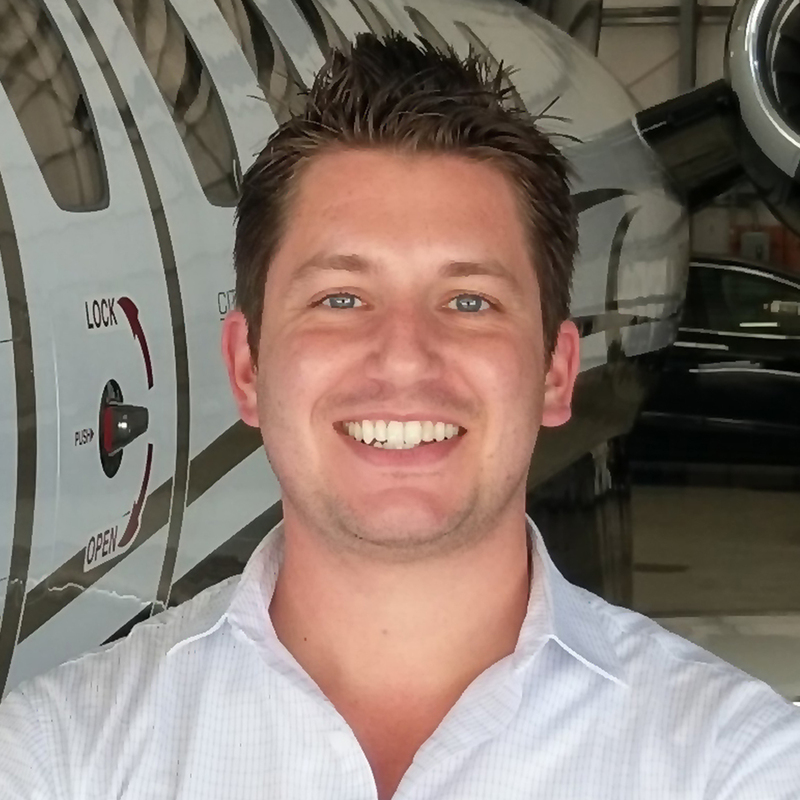 Soloing at age 16, Casey quickly earned all of his ratings and certificates, becoming Captain on the Learjet at age 23 and then Captain on the Gulfstream at age 25 for Clay Lacy Aviation’s worldwide operations. At age 26 Casey began his airline career with a major U.S. carrier. Casey has worked extensively with Cessna, Embraer, Gulfstream and Learjet, logged over 8,500 flight hours and holds type ratings in the Boeing 757/767, CitationJet, Embraer Phenom 100/300, Gulfstream and Learjet 23-55 Series. Casey holds a bachelor’s degree from the University of California, Santa Barbara. Solomon joined the Latitude 33 team in 2011 and has played an integral role in adding value to the management process. 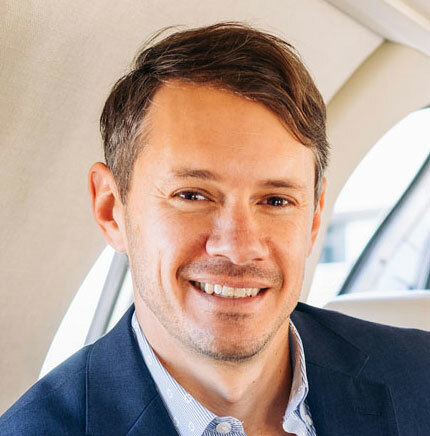 Having worked as a Chief Pilot and Director of Operations for charter operators and management companies, Solomon possesses valuable knowledge and insight regarding many aspects of private aviation. Such knowledge and management expertise have added to Latitude 33’s already distinguished level of service and leadership. As Chief Operating Officer, he helps oversee the day-to-day operating activities, including client services, cost control, and company goal management. In addition to his various management positions, Solomon is also a highly accomplished pilot with operations as Pilot in Command throughout North America and Europe. Solomon has worked extensively with Cessna, Raytheon and Dassault and has logged over 7,000 flight hours. Solomon holds a degree in Aeronautical Science from Embry Riddle Aeronautical University. 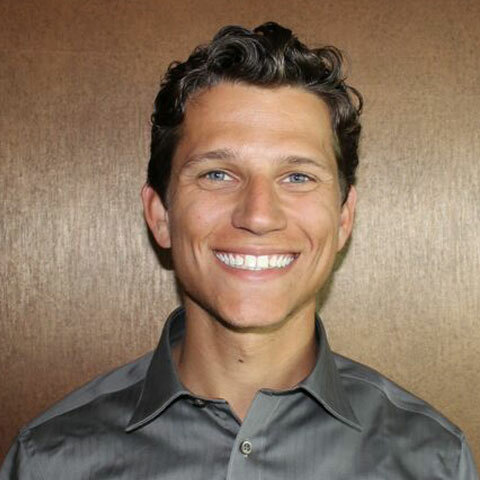 Michael brings over 15 years of experience as an entrepreneur, marketer and flight instructor to the Latitude 33 team. Combining his passion for aviation with his background in technology & business development, Michael leads the marketing, brand development and client relations initiatives. Michael holds an MBA from the University of San Diego, and a bachelor’s degree from the Metropolitan State University of Denver. Dustin has been flying part 135/91 for the previous 15 years throughout North and South America as well as the Caribbean. He has accumulated well over 3000 turbine PIC hours with 7 jet type ratings. Dustin also has PIC type ratings in CE-680, HS-125, CE-560XL, CE-500, IA-Jet, RA-390S, and CE-525. Dustin holds a bachelor’s degree from Point Loma Nazarene University. 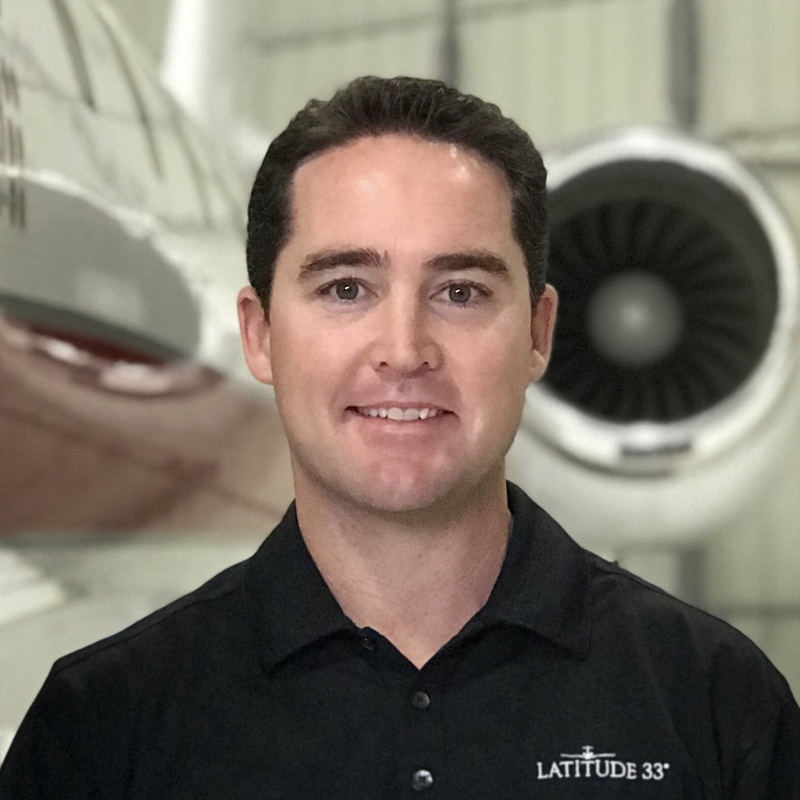 With over 10 years of sales experience and a commercial pilot certificate, Jesse combines his knowledge of the aviation industry with a strong background in sales to provide a well rounded experience for Latitude 33. 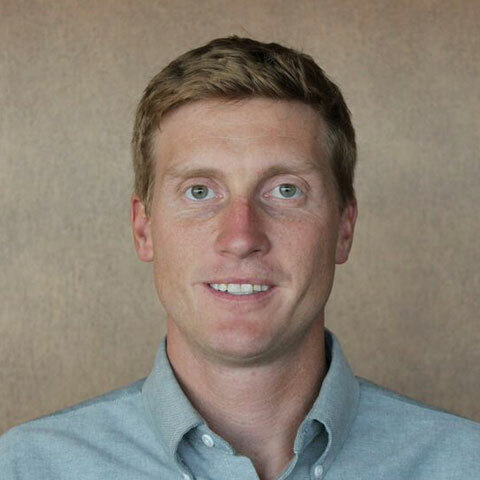 Jesse holds a Bachelor of Science from Utah Valley University. 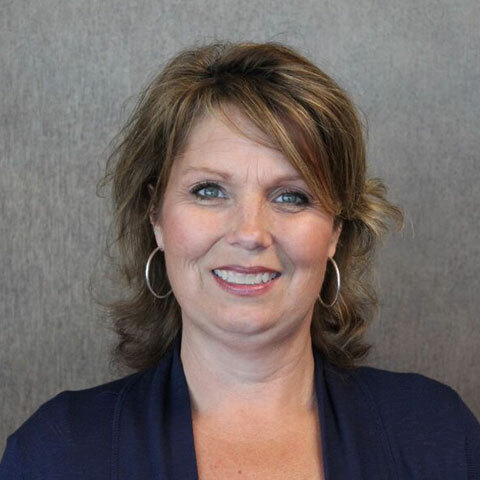 Caryn brings over 20 years of accounting and business experience to the Latitude 33 Aviation team. Her background includes service within both small and large scale businesses with a primary focus on cost management strategies. She is a graduate of Long Beach State University with a degree in Business Administration and Finance. 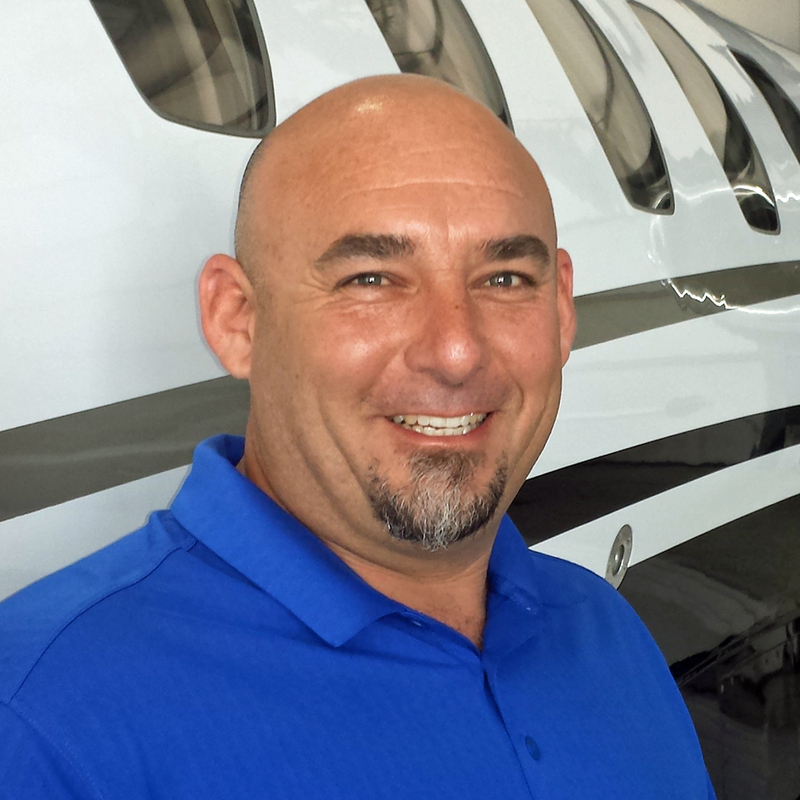 With over 30 years of aircraft maintenance experience, Cliff brings a wealth of knowledge to the Latitude 33 team. He has provided unparalleled service to our Citation owners for several years and due to his outstanding performance, he was hand selected to work as our Director of Maintenance. Cliff previously held the position of Lead Mechanic for Cessna Aircraft Company for 19 years where he gained intimate knowledge of the Citation fleet. He has attended formal training through FlightSafety International for all Citation models. Cliff is also the founder of AOG Jet Support, a well-respected mobile jet maintenance business. Micah has been deeply involved in aviation for nearly 10 years. He has specialized in ground operations and logistics associated with aircraft ranging from turboprops through heavy international jets. As Operations Manager, Micah ensures that each aircraft meets or exceeds the standards set by the Latitude 33 management team. Mike brings 17 years of aviation expertise to Latitude 33. Mike began his Career in the U.S. Navy prior to working for Cessna on the CitationJet line of aircraft. 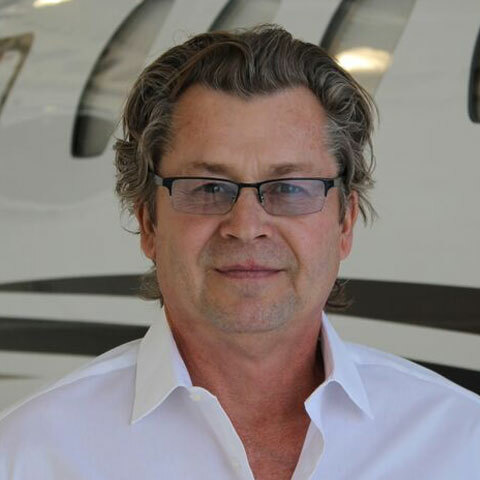 Mike’s experience includes working with Embraer, Bombardier, Dassault, Cessna, Beechcraft, Gulfstream, as well as other non-corporate aircraft. In addition to managing Part 145 repair stations and working closely with the FAA to ensure federal compliance, Mike has been recognized throughout the industry for his exceptional customer service and client relations skills.